Over the past year or so, I’ve been reading old blockbusters. And can I just say, it’s been mighty. Readers who have been hanging around this parish for a while are familiar with my constant moaning about not being able to get book heroin in the current market, which translates roughly as a genre-defying literary stew which transports me somewhere else entirely (metaphorically, of course. Literally would be stupid). As a result, I’ve been retreating into the old book market instead, mining old bestseller lists, from back in the days when bestseller lists were full of actual books which actually sold lots of copies. This has unearthed gems which might have escaped me previously, due to a minor issue of my being born in the wrong decade, or too impoverished to buy books (or too much of a lush to forgo a social life in order to do so). It’s been brilliant. But the sad fact is that 90% of the book heroin I’ve been mainlining recently has come from another era. I’ve been dancing from the 1940s right up to the early noughties with as many wordy partners as an aspirationally wholesome Irishwoman could reasonably expect to get away with. The flip side to my fun is what it means for authors today. 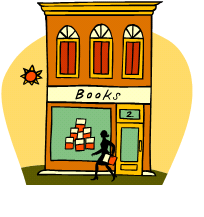 Once upon a time, in the era before e-books, there was a big bible in every bookshop called Books in Print. This bible listed every book it was possible to get – and where it could be got from. So if you went into a bookshop looking for a book which was out of print, you would probably have bought something else instead. Probably something more current. If you went in looking for Fly Fishing by J.R. Hartley, and Books In Print said it was only available in Antarctica, the bookshop might have pointed out that it would be too expensive to ship from Antarctica, and so might have recommended you Fishing With Flies by R.J. Leyhart instead. All in all, the book universe was a finite one. 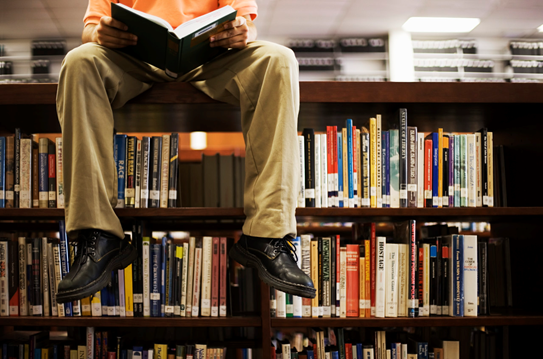 Many great books were no longer available, because stock turned over, rotated, and performed various other acrobatic moves in order to make way for newer books, written by new authors. This may well have been unfortunate for old authors, but in the majority of cases, they had already been far better paid for their initial print runs than anybody today could even dream of, so let’s park the sympathy for that one in the cynical bay instead. And then came the e-book. Much has been written about the e-book in terms of sensory deprivation, or prices so low they don’t even belong in a bargain basement – a bargain borehole would be more apt – but it’s only occurred to me recently that the reason I buy so many e-books, is because I want back catalogue stuff I’m fairly sure I wouldn’t be able to get in a shop. Once an e-book has been put into that format, it’s around forever. It will never be taken off a shelf and pulped. It will never fall off the Books In Print list. It will never have to make way for anything newer and shinier. And more to the point, it’s endlessly available. If it sees a sudden surge in popularity because of transformation into a movie or TV series, celebrity endorsement, inexplicable notoriety, or political upheaval, it can sell two million copies in a week, without a single muscle being moved to dispatch it. Many of the e-books I’ve read this year were also part of a series, meaning that once I finished one, I was able to hop straight online and buy another. Some of them were ridiculously large tomes too, being from an era when being over 800 pages long was not considered a crime against marketing. The e-book format therefore suited me on the double. But every single one of those books meant I wasn’t buying a book which was published in this decade. And I’m sorry for it. No matter how much I give out about marketing fads and homogeneous genres, I would rather support authors from today, than yesterday. But with the way things are now, the pull of those old blockbusters is just too strong. It’s undeniably depressing that not only are today’s authors competing with the thousands of other authors fighting for shelf space, they’re also having to contend with the heavyweights of yesteryear while they’re at it. And it’s not that these older books are even classics. Most of them aren’t. Perhaps in another 100 years they might be; but for now, they’re the equivalent of Charles Dickens in 1840 – popular potboilers, which perhaps in other circumstances would have fallen off the shelf, fading from the list into obscurity. Which brings me, finally, to the other villain of the piece: Me. My dangerous addiction to data means I have in my possession various bestseller list data dating back to the 1960s. I find myself returning to them again and again, to look for what I haven’t been able to find on the market today. And so we could blame e-books. We could blame me. We could even blame Amazon, or algorithms, or the collapse of the Net Book Agreement, or publishing, or marketing departments, or the Boogie. But the fact is that bookish folk now have up to ten decades of super writing to choose from. And much as I mourn the better old days for authors, I can’t help but feel it’s a disconcerting win for another group: Readers. I’m in the final of the Irish blog awards again this year, and I didn’t even have to prostitute myself for votes this time! All of this is splendid. Because I get to thank you for reading and commenting this year, rather than voting. After all, the interaction on this blog makes it what it is. I might still have to ban people here for being funnier than me, though. Just sayin’. Congrats on being a finalist again, well deserved!! I don’t suppose you’re going to disclose the names of any of these classic blockbusters? I’d love to add to my huge to be read pile next to the bed. Just to make me feel even more guilty about not reading enough. I’m afraid I can’t disclose anything, Donna. My reputation as a person of high literary notions would be destroyed in just one 5-second glance at my Kindle. In other words, if I told you, I’d have to kill you. Congratulations yourself on your own finalisting! I’m very conflicted about your category. I’ve pledged allegiance to far too many of you. Thank you so much! “a genre-defying literary stew which transports [you] somewhere else entirely”. I’ve struggled to explain where my book fits in the spectrum of available reading material. This will do perfectly. Ten words, eh? I assume that’s covered by fair use? I haven’t licensed that for public use, Anders, but I’ll let you use it for the notional sum of one million bitcoins. Cheap at the price, eh?! Are there one million bitcoins? If so, definitely worth it. Not only are they out there, they’re worth considerably more than they sound. This week, at least. I’ll expect delivery by the end of the week shall I? I’ve got both my laptops working overtime to mine new ones. Nothing so far, though. Oh, they’re beyond mining now, I’m afraid. They’ve gone all fiscal now. You sound like an expert. Do you think the blockchain is the future of everything? Probably not. The future of everything is more likely to be sounding like an expert. Especially when you’re not. Well, yes, I’m all for reading stuff that’s not hip, current or mainlining the current literary zeitgeist, but then I went and read a few pages of Jeffrey Archer. After shuddering at the nauseating, hackneyed writing I threw it away and ran straight back to current authors. Just because people bought lots of something in the past doesn’t mean it isn’t shite. Just try watching a few episodes of Top Of The Pops 2 (with dodgy DJs removed) and you’ll wonder how the hell some music acts became popular. NOWHERE did I mention Jeffrey Archer, my babbity friend. The very thought of it!! I haven’t read anything of his since 1992. And even then, it was a fourth-hand copy. I feel obliged to defend every author in the English language ever who is not nor has never been Jeffrey Archer for the besmirchment. There are some good ones out there, though. When I said I was mining the bestseller lists, I didn’t mean I was extracting the rocks. Only the gemstones. Oh, they can tug all they like. I’ll continue to ignore it. It helps that I’m very unkind. Sparling! We are (as you already know) kindred spirits. Unfortunately, my 87 year old Mum is in hospital. I have been feeding her on a diet of Raymond Chandler, Dashiell Hammett and Ross MacDonald. She is getting through them at a staggering rate. To my mind, McD is top of the heap. He is a long time gone now and we won’t be getting any prequels or sequels out of him. So much of what is palmed off as literature today is just so much pap. That is apart from your own lovely writings my dear…..
Good grief, Conor. Has the HSE come to this, that we’re now feeding our most loved patients nothing but noir? That’s nihilism to a degree even I am in awe of. I’m glad your Mum is on board though, and hope she’s doing okay. I will visit Ross MacDonald myself and see how he’s doing it. Thanks for the compliment too. It’s a rare nourishment and a welcome one. 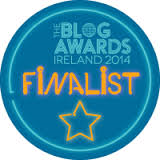 And congratulations once again on One Man’s Meat being a finalist in the Blog Awards. They’re going to have to start calling it the One Man’s Meat award soon. I am energized by seeing you in the mix again too. I will be in the Spanish mountains, avoiding the inevitable disappointment. You can never avoid the inevitable disappointment, Conor. You’re Irish. It’s in your DNA. Very thought-provoking stuff Tara, thanks for collating thoughts I’m sure most of us have had and giving them such honest expression. You’re right, if something could last forever, it shouldn’t also be easy to do- making our writing into e-books just feels like cheating. I benefited more than most, I think, since my work on the Lands isn’t coming out in chrono-order, but now folks can look over a modest set of tales and go from the earliest year if they like. Epic fantasy also benefits from your point about weight-distribution, as those 800 page tomes never really went out of style for us (we just stomped off the popular stage in a huff and kept them the same length until GRRM managed to get back up there. Now we’re green with envy, but still writing looong stuff). No worries in e-book format, the library never gets an ounce heavier. Find something else to prop the fire door, bucko. And commenters are quite correct, bestseller status then as now doesn’t guarantee a good read. That Flog a Pro series over on Writer Unboxed will drop your jaw almost every time- how do they get away with it… well, because they’re THEM, obviously. But you never need a paper book more than when you want to throw it hard at some dope who made you waste your money. And with e-books that would be the baby with the bathwater, so… safer. This is a sad post up until your news! Congratulations once again Tara, well deserved indeed. Fortunately you only had to ban about one other funnier person I should imagine. Or maybe not seeing that you have already been crowned the funniest (abba) queen? Authors have nothing easy, but at least e-books allows voices that might not otherwise have been published a chance. Yeah, it means you have to look harder to find the gems, but they’re still there. Enjoy what you enjoy. I have found less glamour in older books as the misogyny in them tends to be strong, and I like a good heroine. But, reading in entertainment. Just like I don’t much care for older movies, a lot of people do. Exactly, Elizabeth – each to her own. And just like today, I’ve found that the best blockbusters from the past have been genre outliers which didn’t conform, either. I would be congratulating you on your well-deserved success, or leaving one of my typical hilariously witty comments, but I’m still too hung up on that wholesome Irishwoman thing. Raincheck? Well, I did say aspirationally wholesome, Nick. I mean, I’m not a fantasist. In a non-fiction sense. Oh, absolutely. That’s the best sense. Apart from all the other senses, yes, absolutely. I’m glad you are too, Diana. If more people were getting their fix these days, there would be less attention paid to despots. We can only wish. The dotard in the US is making it hard to do anything but. Ah yes. But on the plus side, ‘dotard’ has now entered the everyday lexicon. Hmm. The unspoken corollary to this post might be a message to all those indie authors (like me) busy cranking out more ebooks — enough, already! Stop writing and start reading. 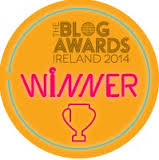 Congrats on the blog recognition, and good luck! I wouldn’t say to anyone to stop writing, Audrey, but I’ll defer to Anne Enright on this one, who once advised ‘write less, edit more’. Good advice. And it looks like my current WIP won’t be publishworthy for at least a year. More time to edit! And to read other books. Check out this intriguing post from Tara Sparling’s bog on the new villain in ‘book city’. Thanks for the re-blog, Don! Yes I’ve taken the option of reading the tried and tested older published book regularly but I’m even cheaper than that. On nights when I can’t cope with another gamble, downloading a book quickly because I’m all out, I peruse my book shelves and pick up an old friend, one I know I enjoyed possibly a number of times in the past, and read it yet again. Or I read poetry. That can be read over and over. Maybe I’m just a skinflint? That’s a great point about poetry, Tric… that it can be enjoyed again and again. I might take some out on a date. I’m a huge advocate of re-reading fiction, too. After all, people watch some movies over and over, so why not books? Congratulations on a well-deserved nomination. I was tempted to write a witty response, but decided against it on the slim but non-zero chance that it might actually be too humorous and get me banned. Best of luck to you. Thank you. And good job you didn’t do that, Armen. My wrath thus remains untold. My wife and daughter appreciate not having to share their favorite target. Please share your oldies book list, I’d love to compare it with mine. I couldn’t possibly, I’m afraid. My reputation as an international woman of mystery would be in ruins. Do it in code, then, that would enhance your reputation. Only if it’s intellectual enough. Leave it with me: I’m in the pub at the moment, I’m bound to find some inspiration soon. My words would be delighted, Al. Having said that, they’re terribly promiscuous. They’re pretty much anybody’s for a cappuccino and a biscotti. I cannot deny it. I might anyway, but I cannot.